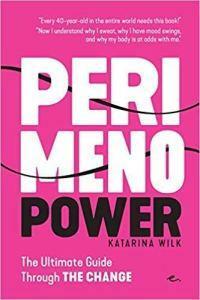 Katarina Wilk has written a terrific guide to perimenopause – what it is and common-sense ways to deal with it. I actually believe that this ought to be required reading for any woman over 40 years of age. Why? Because perimenopause is coming if it hasn’t already started and being prepared can make a huge difference in your transition. In plain language, perimenopause and menopause are demystified. What’s happening and why become clear and understandable. And her simple guide to dealing with symptoms is a lifesaver. We wish we’d had this when we were approaching the Pause.